Full Shop And Single Shops is available For Hotel restaurant banks , brands, showroom , mobile shops and multinational companies. 1st Floor Office ,2nd Floor ,3rd Floor Offices. 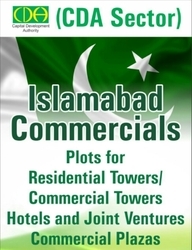 Price Start From 40 Thousand Up Gos To 2 Lacs , Floor, Hall , Studio and flats type offices . Just Sms Location, Budget, Size Your name and basic requirements . Will Be Negotiable Residential & Commercial Purpose Full building For School College Guest House Hostel , Lodges Multinational Companies .Government and Simi Government, Saloon, Showroom Act. ASHHUBZ ( اشھُب) PROPERTY & MARKETING .
" All YOUR STATIONS ARE HIGH , BUT MINE IS HIGHER OVER." " Sms Your Property 4r Sale Rent ."